When it comes to Ellie Mae’s bracelets ($25+), I want stacks on stacks on stacks! The adorable (she is honestly the cutest thing ever!) jewelry designer's goodies is a must have for your arm swag. 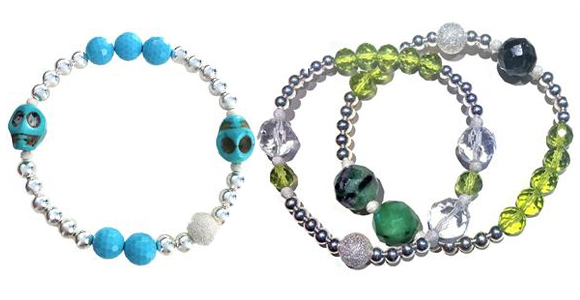 Ellie’s bracelets combine high-quality stones and metals ranging from gold-filled, sterling silver, rose gold and more. If you are into the healing powers of gemstones, she’s got those too! To find out where you can get the goods visit Ellie’s site for retail locations. How adorable is this flower bracelet? 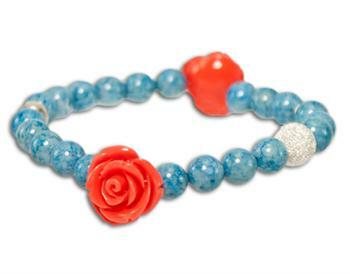 It's got Red Rose Coral Beads & Demin Blue Fossil round stones, with 8m Sterling Silver Star Dust beads. I love the way the pink pops in this bracelet. 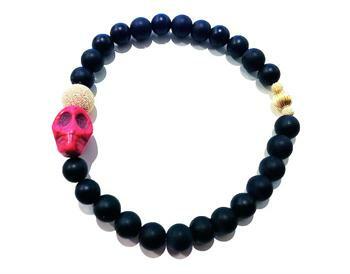 It features a Pink Rock Skull with 6mm Matte Black Onyx stones. Including a Vinatge Mini Spiral Gold Filled Shiny bead, 3mm & 8mm Gold Filled Star Dust beads. Sienna Miller & Tom Sturridge For Burberry?